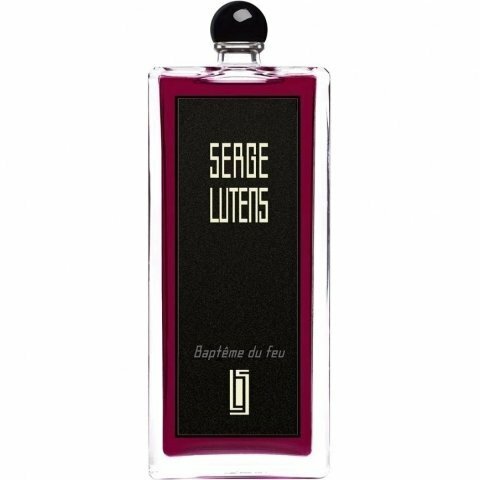 Baptême du Feu is a perfume by Serge Lutens for women and men and was released in 2016. The scent is spicy-fruity. It is being marketed by Shiseido Group / Beauté Prestige International. Fragrances and their names often remind me of the horses I was allowed to meet in my life. And of course our beautiful copper-coloured chestnut mare " baptism of fire " was bought by this Lutens before my eyes. Her fur shone like a polished copper kettle and her red-blonde mane shone like a flame. While running free she hissed through the hall like the embers on a fuse, because the girl had temperament. But she was also distinguished by her mind, because her handling was uncomplicated, without disturbing extravagances. I didn't expect that from this diva. We were also united by our love for music - a very emotional trait of its character. To Simple Minds " Theme of great Cities " she flew just like that - anxious to keep me on her back. And the scent of Lutens is similar. An impressive, almost stormy performance by the beguiling carnation, mixed with the slightly spicy ginger, which then transforms through the soft cinnamon into the more affable and pleasant - and flatters with the candied tangerine skin. An impressive fragrance, but one that goes well on the long reins - without any help at all. I feel comfortable with this baptism of fire, insert simple minds - and think of a happy human-animal relationship. This may mislead one at first into deeming it a rather bogstandard spice-bomb & "that,'s all folks!". But no! Do have patience with it. A little will do. It unfolds into a really ^very^ rich & solid 'fume - amply pungeant, & with plenty of balsamic-woody-muskiness going on. Yes, the ginger ^is^ very prominent; but casting the "gingerbread" appellation at it fails very substantially to do it justice. I'm even getting a touch of soapiness - wouldn't expect soapiness to fit in here, but somehow it does. Some say the sheer heft of this falls short of the Serge Lutens standard. I don't think it ^falls short^, but rather it presents somewhat °obliquely°. And why ought it not? I don't think it's incumbent on SL to make ^every^ one of their 'fumes a full-frontal charge of the heavy horse, just because most of them are! It's a pleasant change, this one: not ditching the heft, just directing it more flank-wise than is their wont. And it's holding up ^astonishingly^ well against the remnants of the weekend's ~Ceylon~ broaching! I'll tell you what this reminds me of - and some people will be aghast, I think, at my saying this - but this ^is^ distinctly the superior 'fume, & I'm not just saying so because it's the more expensive, it ^is^ the superior 'fume - but this one that it reminds me of ^is^ one that I do like, and deem much better than a certain fashion for doing it down would have it -- and the 'fume is this - ~Obsession~ (lady's (nominally)) by Calvin Klein. Both have a certain °dry smokiness° that I really enjoy (provided it's not ^too^ often!) in a 'fume. There isn't a touch of civet in this, is there? I had a sample of this and tested it completely expecting it to be a " meh" going off the earlier reviews. Boy was I wrong! This starts out on me as a very jammy orange that calms down and gives way to a Moreish gingerbread, but never disappears totally. Woody notes creep into the mix and it switches from harshness to loveliness constantly creating the most addictive aroma. Its silage and longevity are both great and I just find it such a mysterious, intoxicating scent and from so few ingredients! Who knew?! Like many of the newer Serge Lutens' fragrances, Baptême du Feu seems created to have a gentler, less conspicuous personality. There's none of the oak leaves and dirt of Chene, no Fleurs d'Orange flower bombs, and certainly none of the sticky pine resin and charred bark of Fille en aiguilles. Baptême du Feu takes a while to dry down before its personality emerges. When it does, it's a nice, warm, well mannered, well blended fragrance. While those qualities seem complimentary, there's a downside to being just nice. Aside from a bit of ginger and powdery carnation, nothing stands out to provide a defining character. The overall effect is a pleasant, spicy warmth revealing a pedigree in Lutens' Five O'clock Gingembre and Vitriol d'Œillet. But those fragrances have personality and backbone; they make a statement. Baptême du Feu is meek by comparison. 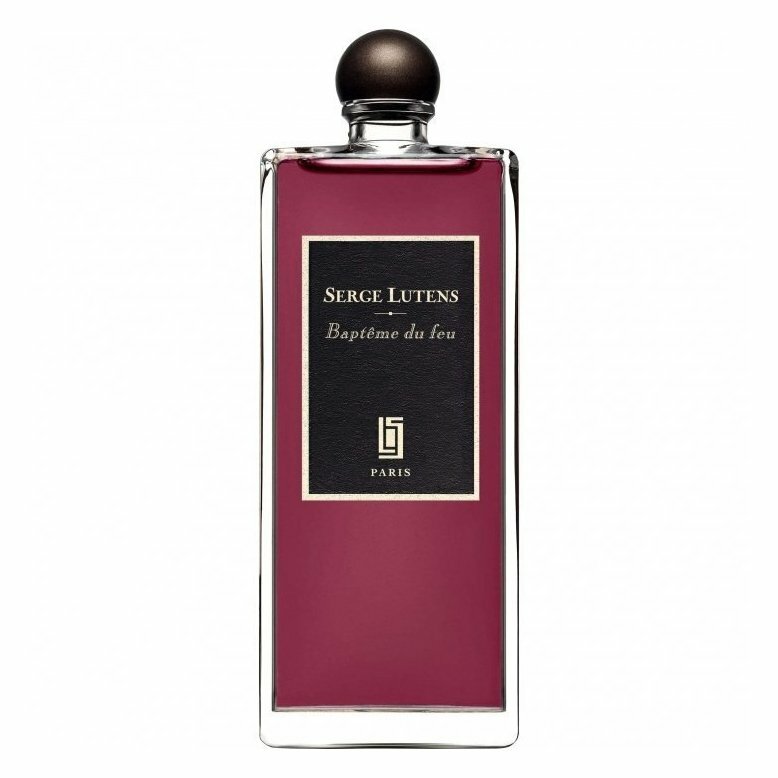 Despite the family bloodlines, Baptême du Feu has more in common with L'Homme Sage by Divine. Both fragrances have a very similar structure based on warm, blended spice notes. While Baptême du Feu is slightly sweeter with a touch of powdery carnation, L'Homme Sage has of range and variety of spice accords endowing it with a depth of character and definition Baptême du Feu cannot match. If it can be said without sounding like an insult, Baptême du Feu is, at best, nice. Unfortunately, "nice" means it lacks the personality of Luten's typically bold fragrances. I miss that quality in the newest entries from this house.